Besides tables, data is presented in friendlier objects named forms. When it comes to data of a database, there are two broad types of forms: data-unrelated and data-related. Before creating a form, you must decide where data would come from. 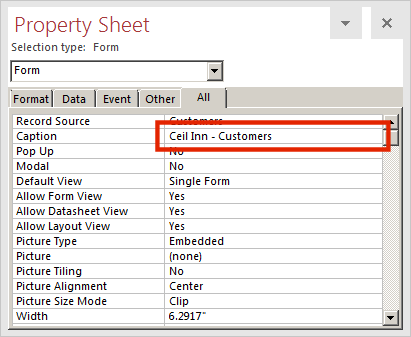 If the data of a form will be based on a table, you can specify it. 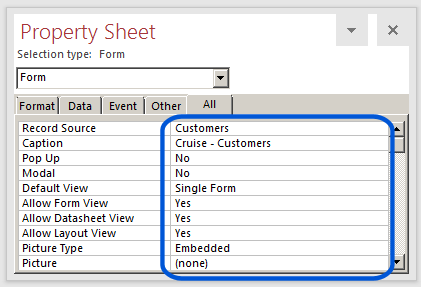 To easily create a form that would display data, in the Navigation Pane, select the table. In the Ribbon, click Create. 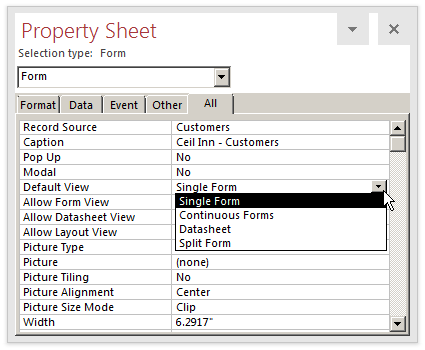 In the Forms section, click Form. If the form was not saved previously, you would be prompted to give it a name. 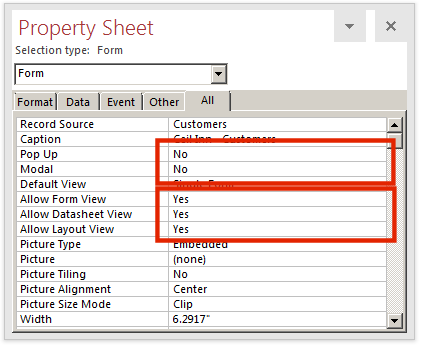 If a form is based on a table, it may be a good idea to give the same name as the table. The Form Wizard provides an easy and fast means of creating a form. 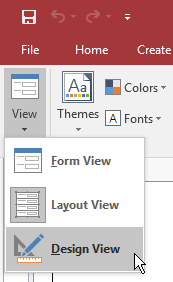 To launch the Form Wizard, on the Ribbon, click Create. In the Forms section, click Form Wizard. A report is an object made to print the records of a database. Just as mentioned for forms, a report can be made to display the records from a table or a report can be created independently or any table. A report is independent if it display text and other objects that are not tied to a table. To create such a form, on the Ribbon, click Create. In the Reports section, click Blank Report. Microsoft Access provides the means of creating a report with the click of a few buttons. 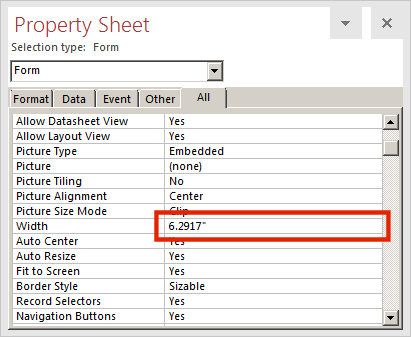 To use this feature, in the Navigation Pane, select the table. In the Ribbon, click Create. In the Reports section, click Report. On the Ribbon, click Create if necessary. Give a name to the report and press Enter. The Report Wizard can be used to select the fields to display on a report. To start the Report Wizard, on the Ribbon, click Create. In the Reports section, click Report Wizard. If necessary, on the Ribbon, click Create. There are values types of properties. 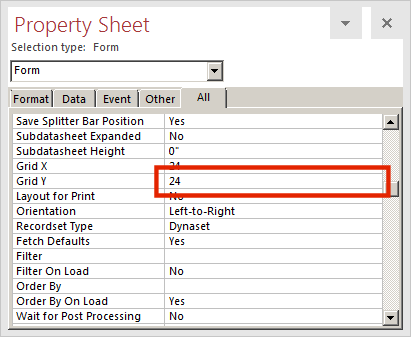 To display the Property Sheet, on the Ribbon, click Design if necessary. 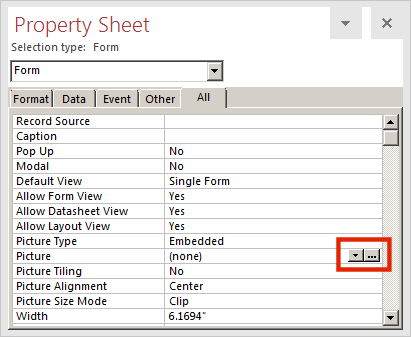 To specify the value of a text-based property, click either the name or the property field and type it. If the value is a natural number, simply type. To specify the value, type it, including its decimal separator. If the value is less than 1, such as 0.2167, you can type it like that or only start it with a period followed by the other digits. Some properties are made of a combination of specific characters and digits, referred to as a combination. When you click the ellipsis button , a dialog box or a window may come up.